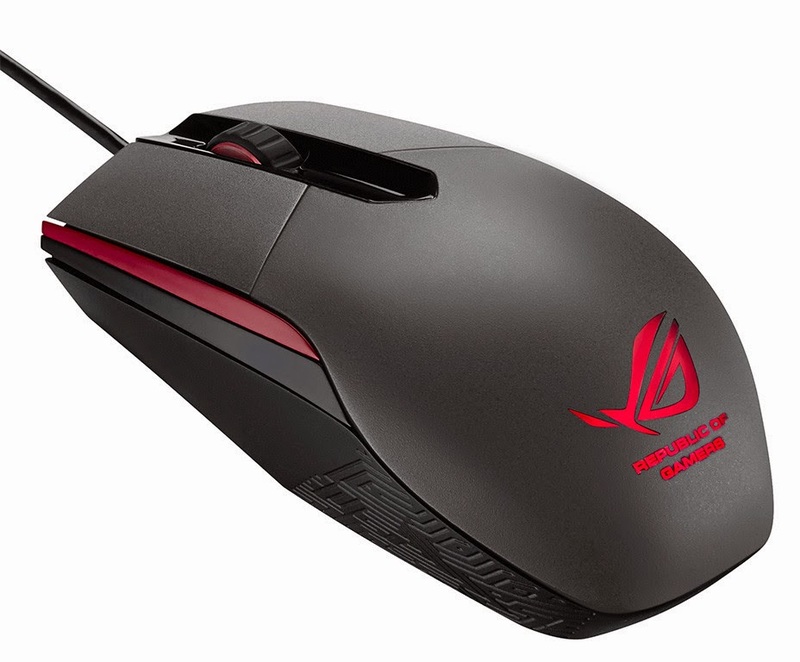 ASUS Republic of Gamers (ROG) today announced the ROG Sica optical gaming mouse and ROG Whetstone mouse pad. ROG Sica has an ambidextrous design and is especially ideal for fingertip grip gamers. 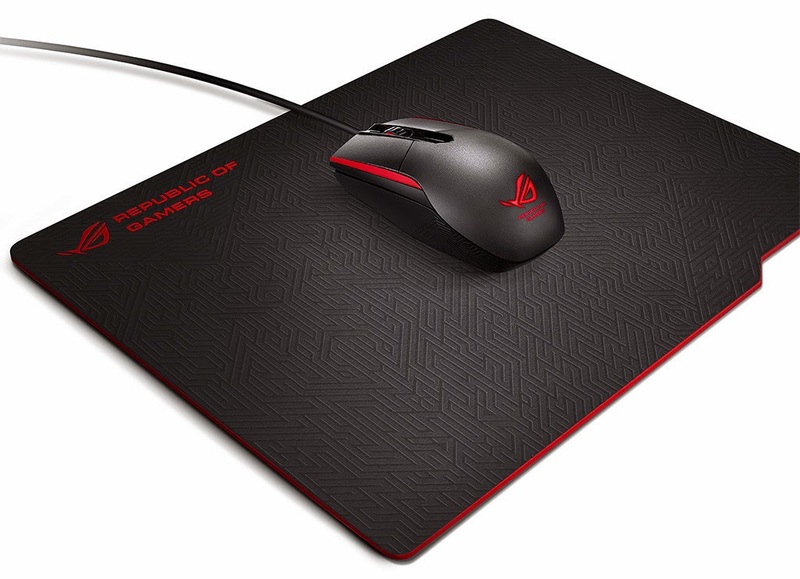 The ROG Whetstone mouse pad features a silicone-fabric construction that gives it excellent mouse tracking qualities for smooth, precise control; it is also both portable and durable. Both feature Mayan-inspired markings and the distinctive red and black ROG color scheme. ROG sought input from Taipei Assassins, a professional e-sports team, to ensure both products perform exceptionally in the gaming arena. ROG Sica has a compact, ambidextrous design optimized for multiplayer online battle arena (MOBA) gamers of all grip types. It features a simple independent two-button and single clickable scroll-wheel setup, with durable Omron switches. The left and right mouse buttons are separated from the main mouse body to reduce travel distance to ensure increased button tactility and responsiveness. An improved exclusive easy-swap switch socket design lets users customize click resistance. ROG Sica has an iron-gray and red color scheme, a glowing ROG logo and intricate Mayan-stenciled side panels to give it presence. It has a gold-plated USB 2.0 connector, and low-friction Teflon feet. ROG Whetstone has a non-slip silicone base and an intricate Mayan-inspired textured black fabric surface designed for precise mouse tracking and control. Its portable, rollable design makes it easy to pack and bring to LAN parties. At just 2mm thick, ROG Whetstone incorporates the latest 8-stage bonding and heat-sealing techniques to ensure durability. Even after extensive use, ROG Whetstone is guaranteed to last, with rounded edges that resist fraying and creasing for always-smooth mouse tracking. 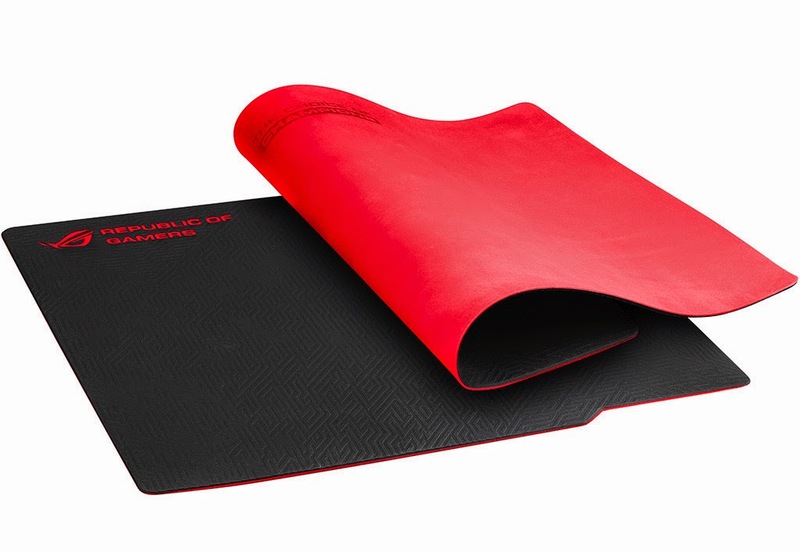 ROG Whetstone has an odorless silicone base, with a special water-resistant coat that allows for easy cleaning - simply wash, wipe, and shake to dry.